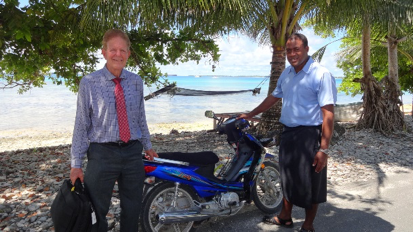 November – Herb just returned from ministering on the island nation of Tuvalu. The normal transportation is motorbike. This is a new door God opened, and the timing was perfect. Herb went with Pastor Turu from Fiji, who had lived and ministered there before. He reports that “The Word preached and demonstrated with salvations, healing, and miracles changed the thinking of the people there.” One man received a new heart, or repaired heart, fell on his knees weeping and weeping before the Lord. There is a great awakening happening in the Pacific Islands, and it is so good to be a part of it. In Sept./Oct. with the help of faithful partners, Herb and Jan flew the Island Hopper for a MICRONESIAN CRUSADE, holding 24 meetings throughout Micronesia. The glory manifested in each meeting beginning in the Marshall Islands! People from 7 denominations came together in Palau to hear and be BLESSED. Many awesome testimonies of what God did through the revelation of The Word have come out of those meetings. An airplane crashed on landing the day before we were to arrive on Chuuk, shutting down the runway, but it reopened so The truth could be preached in two churches on Sunday, and there were salvations, healings and deliverances. The Marshallese Church family in Guam, along with a visiting pastor from Saipan, said “You came just at the right time – we are so BLESSED. To God be the glory – great things He has done! Kenneth Copeland, Jerry Savelle, and Jesse Duplantis. This meeting was above and beyond anything we have ever had a part in. Over 20 denominations, with over 180 volunteers working together, everyone doing his part was so amazing. Herb was so very busy in coordinating, and working together with the island pastors and leaders, and the Kenneth Copeland Ministry team of 21. There were over 10,000 who attended the final meeting which was held in an outdoor stadium bigger than a football field. It was filled with people – some on chairs, but most people sitting on the ground. Even the hillside behind was crowded with people. Over 2,000 salvation cards were filled out. The Word preached was so powerful, and the people so hungry to hear the Truth about the goodness of God. Many miracles took place! In March, Micronesian Life Ministries, together with Thy Word Ministries – Kau’ coordinated a 4 day BIG ISLAND, HAWAII CRUSADE with international speaker Jerry Savelle. Over 400 attended these anointed meetings, and many were saved, healed, and changed by the powerful good news of the gospel preached. God is showing HIS GLORY IN THE ISLANDS – “And the glory of the Lord shall be revealed, and all flesh shall see together: for the mouth of the Lord has spoken it” – Isaiah 40:5. 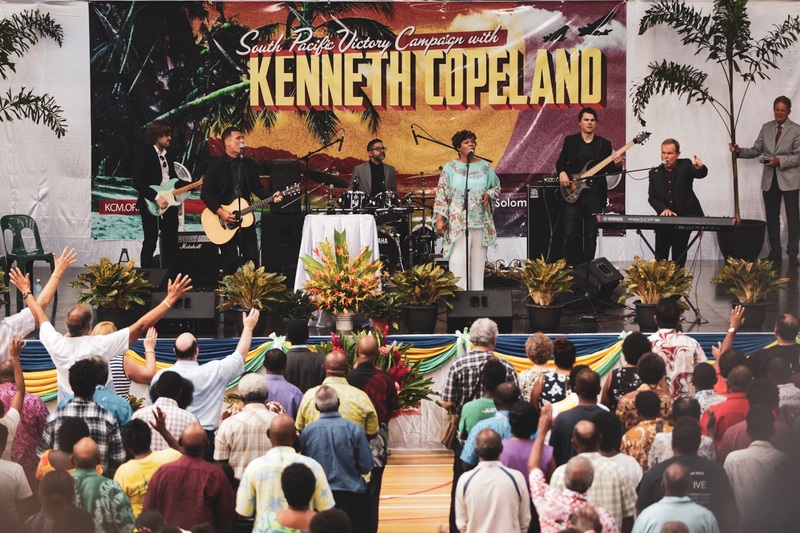 Truly it is a Holy Spirit invasion – a spiritual tsunami of the manifested presence, power and goodness of God that is filling the Pacific Island nations, and all the world will be hearing about it.